A digest of new and noteworthy research to complement UC Berkeley press releases. A complete archive of all campus research news is available online. Berkeley — How men and women differ when it comes to altruism and social pressure is the focus of a new working paper by three University of California, Berkley, economists posted online in February by the National Bureau of Economic Research (NBER). “In a door-to-door solicitation, men and women are equally generous, but women become less generous when it becomes easy to avoid the solicitor,” report UC Berkeley professors Stefano DellaVigna and Ulrike Malmendier, UC Berkeley economics Ph.D. student Gautam Rao, and University of Chicago economist John A. List. “When put under pressure, women may give more, and contribute more to public goods because they are more likely to be on the margin, and hence sensitive to an extra push. But they may say no if given a simple option to do so,” the research team reported. 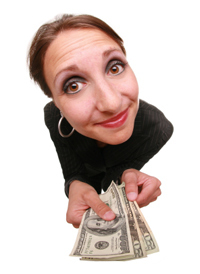 They say their study, “The Importance of Being Marginal: Gender Differences in Generosity,” helps to clarify seemingly contradictory findings in other studies that found women are more, or less, generous than men, and adds to the understanding of altruism and social pressure. The study will be formally published in the journal American Economic Review: Papers and Proceedings in May. A previous working NBER paper by DellaVigna, Malmendier and List, titled “Testing for Altruism and Social Pressure in Charitable Giving,” is online. Read a NewsCenter story about Malmendier winning the American Finance Association’s 2013 Fischer Black Prize here. 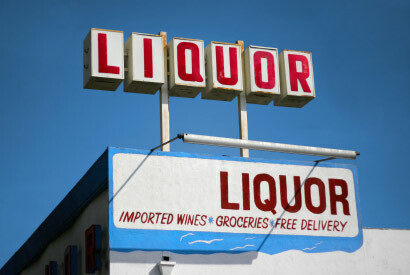 Berkeley – Neighborhoods where the concentration of liquor stores rises above a certain tipping point are linked to higher rates of binge drinking, according to a new UC Berkeley-led analysis. A survey in New York City showed that the adjusted prevalence of binge drinking was 13 percent in areas with 130 liquor stores per square mile, and 8 percent in areas with 80 stores. Below 80 stores per square mile, the connection to binge drinking behavior weakened considerably, the study said. Researchers published their analysis this month in the Feb. 14 issue of the American Journal of Public Health. Some city officials have put the spotlight on problems that arise when there are too many liquor stores in a neighborhood. Last year, New York Mayor Michael Bloomberg considered a controversial initiative to reduce liquor stores and bars as a means of limiting alcohol sales in the city.